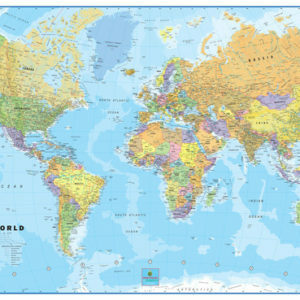 60×96 World Classic Wall Map Huge Mural is the largest one-piece wall map mural of the World in print today and Swiftmaps is proud to be leading the way. Now available in paper, laminated, peel n' stick or wallpaper. 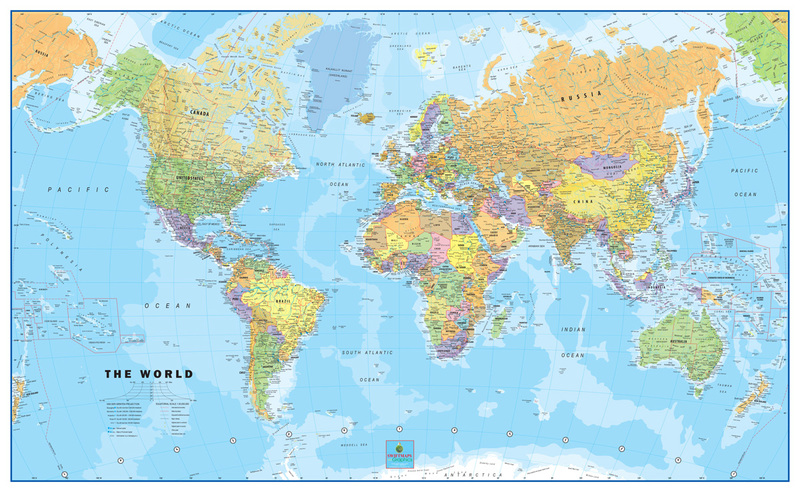 Swiftmaps.com presents the new 60×96 World Classic Wall Map Huge Mural. This amazingly detailed and colorful political world wall map measures 60″ tall and 96″ wide. Map is a full 8-color wall map and is rolled. The colors are extremely vivid in this world map series, and unlike any other wall map you will see. This map is brand new, current and is politically up to date. The production and cartography of this map was put together with some of the best mapmakers in the World. This map will make an awesome impression on your home, office or boardroom wall! This map also makes a wonderful educational tool for the classroom. If you want the best world wall map in print…this map is for you! This is currently the largest one-piece world map in print today!! 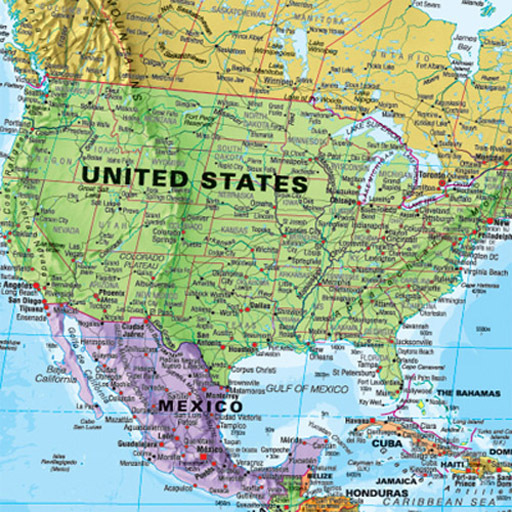 We are happy to be the only map company in the United States making a 60″ wide one panel, no seam world map! This wall map is available in Paper, Laminated, Wallpaper, Canvas, Self Adhesive or Framed. Please note that this mural is printed in 1 panel for easy application. Please note that all framed and stretched canvas maps are very fragile and require a heavy duty custom crate for shipping. We take pride in making sure you receive a perfect shipment!